Facebook is everywhere theses days. Anymore, you’re the exception if you don’t have a Facebook account. Although this is good news is you can now easily connect with old/new friends while at the same time start a new farm, as with all things, there is a dark side to Facebook’s popularity. When the popularity of something grows, so does the attack surface. In other words, hackers write virus / malware for Windows PC’s because it’s the primary OS in the world and therefore the largest target. They will get the most bang for their buck so-to-speak vs. writing a virus for say Amiga systems. Well the same thing is true for Facebook. Write some malware that targets 500 Million + Facebook users and the payoff could be huge. 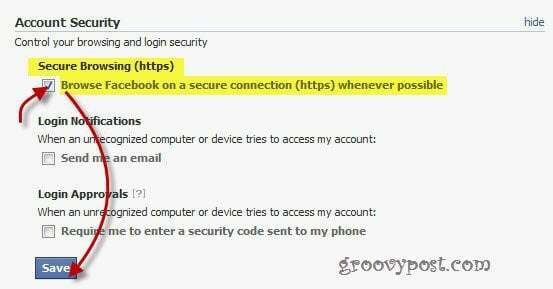 One way a Hacker could possibly do this is by installing a small piece of code on your PC or NEAR your PC like on a Free Wireless Hotspot at Starbucks, McDonald’s etc… The good news is you can easily defend yourself against this particular threat by securing your connection to Facebook which is exactly what I’ll show you how to do in this groovyPost. You probably haven’t noticed but, a standard connection on Facebook (and most websites for that matter) is unencrypted and processed in clear text via HTTP. 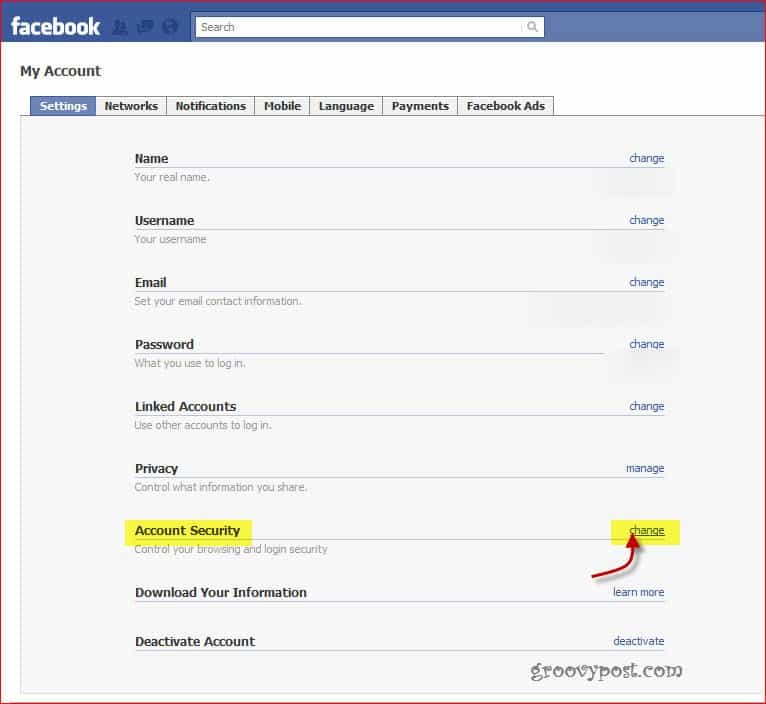 Although some sites allow you to configure your account to only use https, Facebook by default is not encrypted. “So what?”, you ask. Well, under normal circumstance HTTP is just fine. It’s fast and get’s the job done but if your logging into a system where your going to type your password, it’s a big deal due to the hacker guy at Starbucks I talked about earlier. Now, switching Facebook to a permanent use of https is easy as pie. Just follow the steps below and you’ll be (even if just a little) more secure in no time. 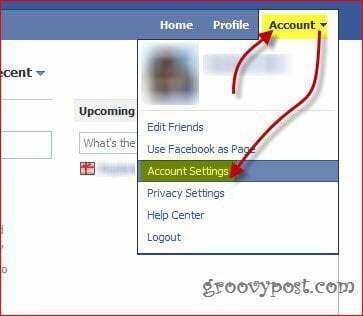 On the top left side of your Facebook page, Click Account and then Account settings. Next, find Account security and click Change. 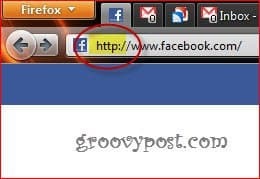 In the menu that shows up, make sure you have Secure Browsing (https) – Browse Facebook on a secure connection (https) whenever possible checked. Then click Save. And that’s it! Now Facebook should use a secure connection all the time. You can see this in the fact that the address starts with https instead of http, just like it foes in the screenshot below. 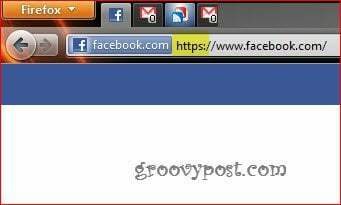 My fb doesn’t have and ‘account’ button showing. Things have changed since the article was written. Now it’s under the gears button, on the top right side / Account Settings / Security.